Foreign Ministry report notes gaps between pre-summit statements and the agreement published by the two leaders afterwards. A confidential report from Israel's Foreign Ministry casts doubt on the wave of optimism following the summit between US President Donald Trump and North Korean Supreme Leader Kim Jong-un, Channel 10 reported. According to the report, an official document delineated the US' retreat in several issues regarding North Korea's nuclear plans. This document, which was sent to embassies around the world, as well as to Israeli Prime Minister Binyamin Netanyahu's office, noted that the summit left mostly questions without answers. 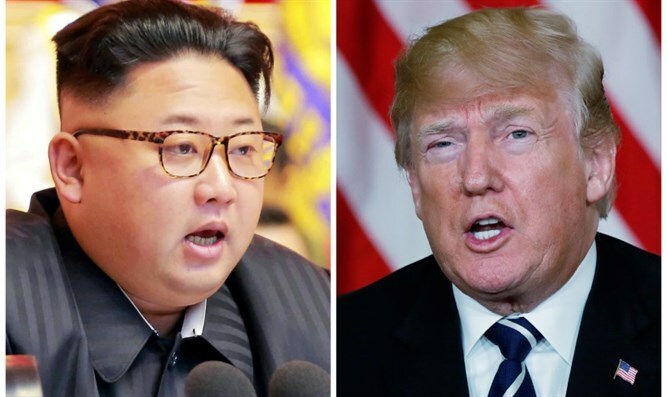 "There are crucial gaps between the US statements before the summit regarding the need for complete, irreversible, and measurable de-nuclearization, and the agreement which included only North Korea's 'complete de-nuclearization,'" the report said. "Despite the smiles at the summit, most of the officials in Japan and South Korea, as well as in the American Congress and media, doubt the honesty of North Korea's intentions." A day before the Foreign Ministry sent its report to Israeli embassies, Netanyahu, who serves as Foreign Minister in addition to Prime Minister, published a Hebrew video of him congratulating Trump for the summit with Kim. In an official translation, he wrote, "I commend US President Donald Trump on the historic summit in Singapore. This is an important step in the effort to rid the Korean peninsula of nuclear weapons." "President Trump has also taken a strong stand against Iran's efforts to arm itself with nuclear weapons and against its aggression in the Middle East. This is already affecting the Iranian economy. President Trump's policy is an important development for Israel, the region and the entire world."